The Miami Heat are in a state of change. Some of that change was unavoidable and a good portion of it was of their own doing. No matter how you slice it, the final Hall of Fame pieces of Miami’s ‘Big Three’ era are no more. A slightly salty Dwyane Wade is now a member of the Chicago Bulls and while that reality still makes Miami fans see red, it is the loss of Chris Bosh that is truly crippling. Bosh’s unfortunate medical condition has turned a once sweet situation very sour as there appears to be hard feelings between he and the franchise and more directly…Pat Riley. The team announced that Bosh is not in their current plans and his career with Miami is “probably” over. While the veteran big man is not in agreement, his options are becoming slim and trying to find a team that will take chance on him outside of Miami will prove problematic at best. Internally, the Heat have to focus on a roster that now appears to be led by Hassan Whiteside, Goran Dragic and Dion Waiters on the court with a healthy dose of Coach Spolestra from the sidelines. The roster is unnaturally even which will create some very prickly position battles in training camp and potentially throughout the season. Tyler Johnson, Wayne Ellington, Josh Richardson and the aforementioned Dragic and Waiters will all look to claim supremacy in the backcourt. Each has something their counterparts don’t which could be fun or disastrous when deciding a rotation. Pace and not necessarily space will be a staple of the Miami offense this season. But it remains to be seen just how open-minded Coach Spo decides to be in creating small ball lineups that will allow him to play a good portion of the similarly skilled guards/wings. If that is indeed the way he decides to play. The frontcourt sans Bosh is not an easy rotation to decipher either. Justise Winslow is going to get minutes as arguably the team’s best wing defender and the bulk of his minutes should come at small forward. But he could see time at the four or backup five if Spo is feeling frisky like he did in last year’s playoffs. The team’s other forwards James Johnson, Luke Babbitt, Josh McRoberts and Derrick Williams will all be jumping frantically like a grade school student who know’s the answer hoping Spo picks them to play plus minutes in Miami’s crowded rotation. 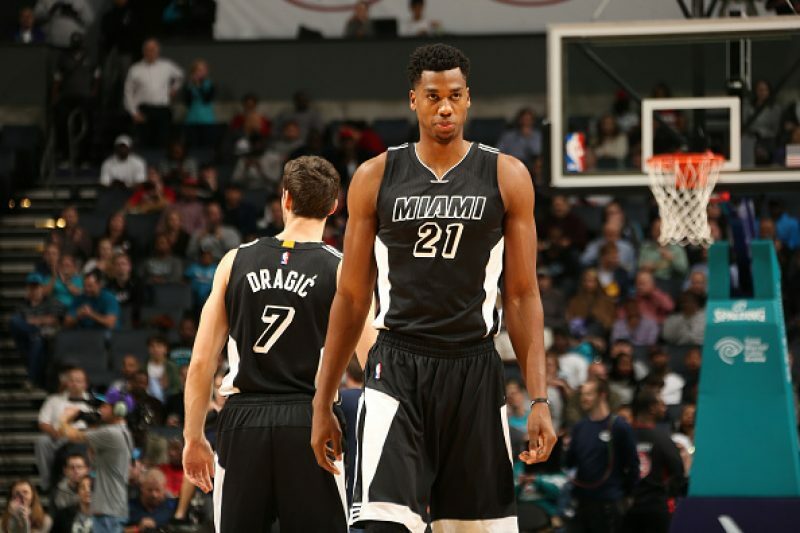 Whiteside and Dragic seem to be assured starting spots with Winslow as the next most entrenched. Meanwhile, Waiters and his one-year prove it deal lurks like a shark in the water hungry for the opportunity to lead a franchise. It’s concerning that so many of the players feel like it might be their time time to shine. Spoelstra will have to toe the line between Yoda-like motivator and juggler of egos to keep all the want to be master chefs out of the kitchen. The identity of this team is vastly unknown and Spoelstra will be forced to figure it out on the fly.